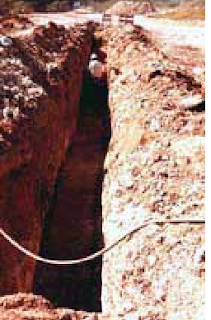 1)Working in an unsafe condition –that is working in a trench without shoring. Workers must be protected from cave-ins by an adequately designed protective system e.g. shoring, shielding, sloping, etc . 2)Failure of employer to provide safe means of access and egress. Trench shall have stairways or ladders located no more than 25 feet apart. Appropriate testing should be conducted if there is a possibility of an oxygen deficient atmosphere or hazardous atmosphere inside the excavation. Work area should be marked off with appropriate warning signs.